Providing valuable lead magnets as part of your inbound marketing activities can maximize the number of targeted leads you get for your offer by providing an incentive for them to sign up. But how many sign up forms have you seen that simply ask you to “sign up” to receive their email updates? 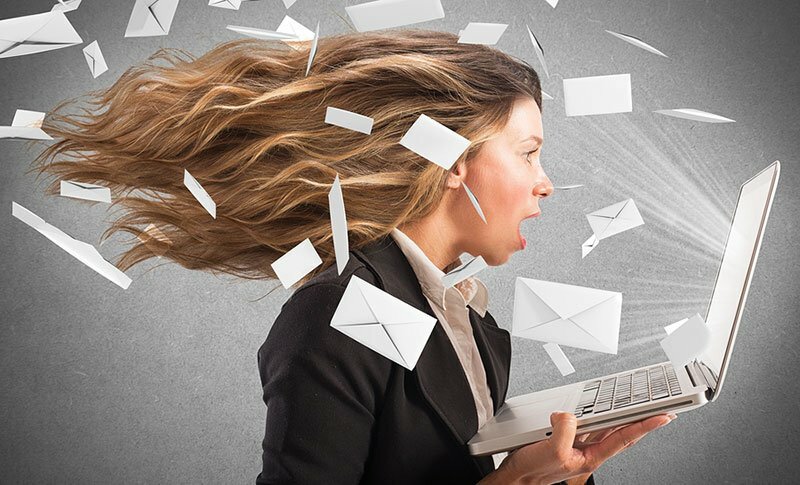 Unless this business is known to regularly offer awesome content, it’s rare today that anyone will part with their email address without something in return. The goal of inbound marketing is to attract your ideal client to your website through varying types of valuable content. When people get to your website via your inbound marketing efforts, they are most likely looking for something to help them solve a problem, entertain them or educate them further. Offering that valuable resource when they opt-in to your list will help your email campaigns or blog posts be more visible in the overload of email promotions. A lead magnet, sometimes referred to as an “irresistible bribe”, provides something of value to a prospect in exchange for their contact information. In most cases, you only need their email address, but for higher end offers, you may also ask for other information. The type of lead magnet that you should create will depend on your goals, your target audience and your product or service. What works for one business may not work for another. However, the good news is that lead magnets don’t need to be long, complex or take weeks to create. 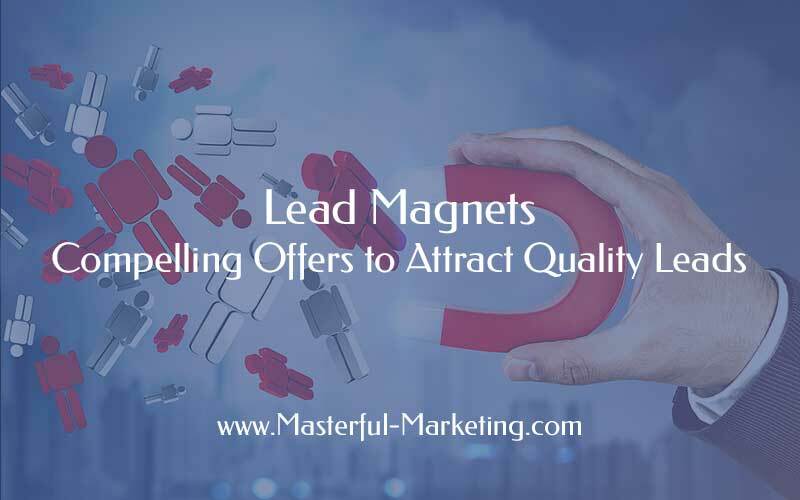 The best converting lead magnets offer a solution to a specific problem your target audience is having quickly and that they can implement now. The more you understand your market, the more likely you will create a lead magnet that gets their attention and turns them into a lead. Turn your best work into a free template. Want input on your next product or service, create a survey that asks people to provide their input or opinion. In all cases, you are very likely to attract your target audience and not only get them to sign up for your email list, but also provide you with valuable information that can help you understand their needs more precisely. We all have times where we’re stuck for creative ideas, staring at a blank screen and wondering what you can say or do that will hold the attention of your reader. By offering a swipe file of your best work that people can take and build upon, you can help people save time, get more leads, sell more product and look more professional. People like free training and webinars are one of the best ways to generate new leads that turn into customers. Hosting a live webinar or offering a free video mini-course can position your business as an expert in a particular area and entice people that are interested in this topic on your email list. These lead magnets are usually the precursor to an offer, such as a masterclass, private membership community or some other type of training that people will be more likely to want once they have seen your free videos. However, webinar replays can continue to convert visitors into leads as well. The software industry uses free trials to attract potential buyers. For software that is hosted as a service (SaaS), free trials allow you to test the product before investing. Some companies get creative with free trials without providing a credit card. Some provide a 30 day free trial for the full product. And others provide a free version of the product that is either limited in the number of users, number of devices or features to allow you to use it for as long as you need. In all cases, this type of lead magnet gives your visitor hands on experience and allows you to get more information on the interested party. White papers or case studies can be effective lead magnets if their content provides insights into an industry or results obtained through the application of a product or service. These types of lead magnets are normally more useful for high end products or services where companies need to help justify purchases. However, if you have useful data that business owners may want to know before engaging with your company, these types of reports can help move them through the sales cycle. Free consultations, strategy sessions or coaching calls are a way to have a direct conversation with someone who is interested in your services. By making these calls short and identifying what you plan to accomplish on the call, both parties can gain value from the conversation. The downside of a free consultation is that there are those that take advantage of you and pick your brain with no intention of buying. But in many cases, helping someone out with some tips and ideas not only makes you their hero, but also helps you determine if they are a good fit for you in the first place. The lead magnet that first comes to mind for most is the eBook. Although not the best choice in many cases, an eBook works well when it educates your target audience and solves their problem. eBooks don’t have to be lengthy but do need to cover a topic completely. The more visually appealing you can make it, the better. You can create your eBook using a PowerPoint template that is easy to edit and create graphics. Your lead magnet is the pot of gold at the end of the rainbow where your rainbow is your marketing funnel. You must understand the entire end-to-end marketing campaign strategy that takes your target audience from suspect to prospect. Remember you need to promote your offer, create your landing page and then ensure your call to action gets your visitor to sign up. What type of lead magnet will work well for your business?